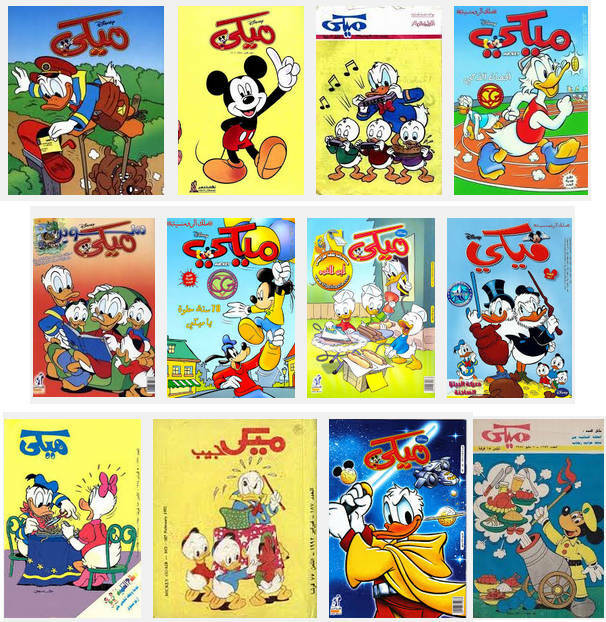 Mickey ميكي is a weekly entertainment magazine published in the Arabic language targeted at readers from 7 years and above. It contains graphic stories of various sizes in a variety of genres including adventure, fantasy and comedy. It also contains information and light news. Disney characters are depicted on its pages and through its activities. There are two correspondence pages to communicate with readers. Readers send their pictures, drawings and enquiries to the magazine through contests and activities. There are two brand publications. Mickey is a weekly magazine and Super Mickey which is a monthly magazine.